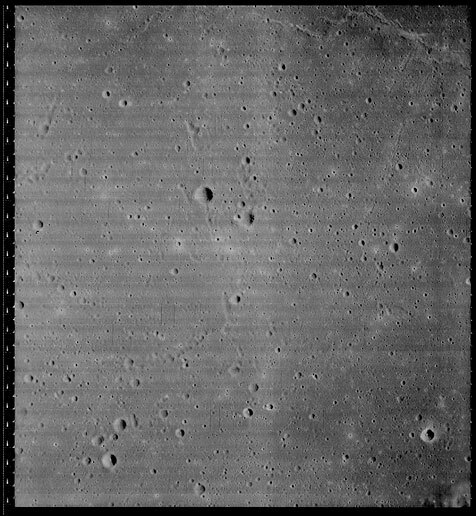 Editor’s note: Dennis Wingo and Ken Zin are part of the Lunar Orbiter Image Recovery Project (LOIRP) team. LOIRP make frequent use of old NASA computers and surplus hardware. It is through this experience that Dennis and Ken became familiar with all of the potentially useful equipment sitting around waiting for someone to think of something to use it for. They found a use for it. 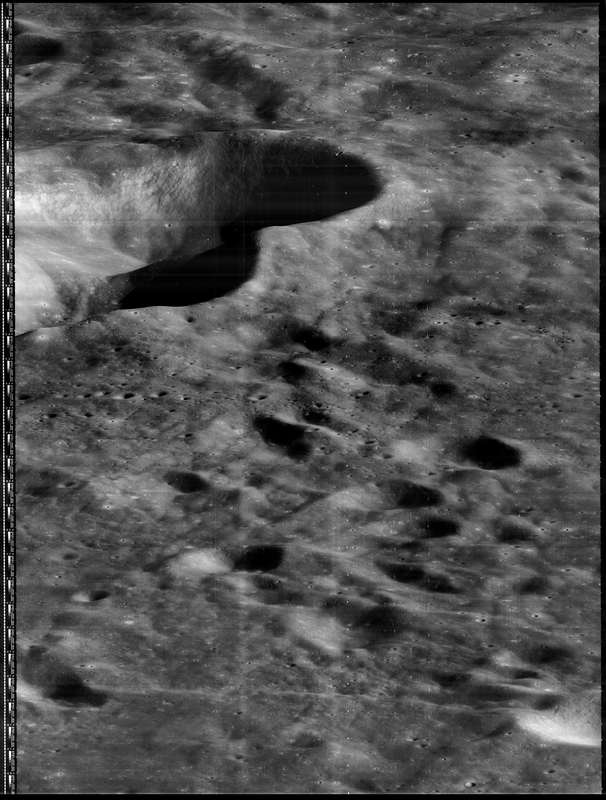 Editor’s note: According to Mark Robinson at ASU “The full res version has a pixel scale of 3.7 km. The lead in web posting has a pixel scale of 12.4 km. 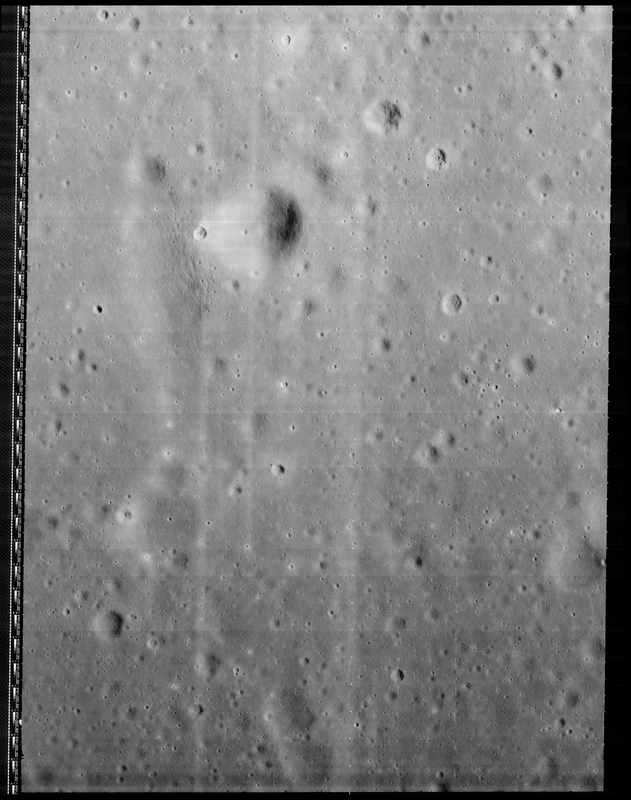 If you follow the link you can get to the full resolution mosaic on the LROC webpage. Since this is an orthographic view the pixel scale is calculated at the center of the disc, the resolution falls off as a cosine function towards the limb.” Zoom in on the image here. All cameras are susceptible to scattered light. You may have seen scattered light in pictures you have taken looking towards the Sun. 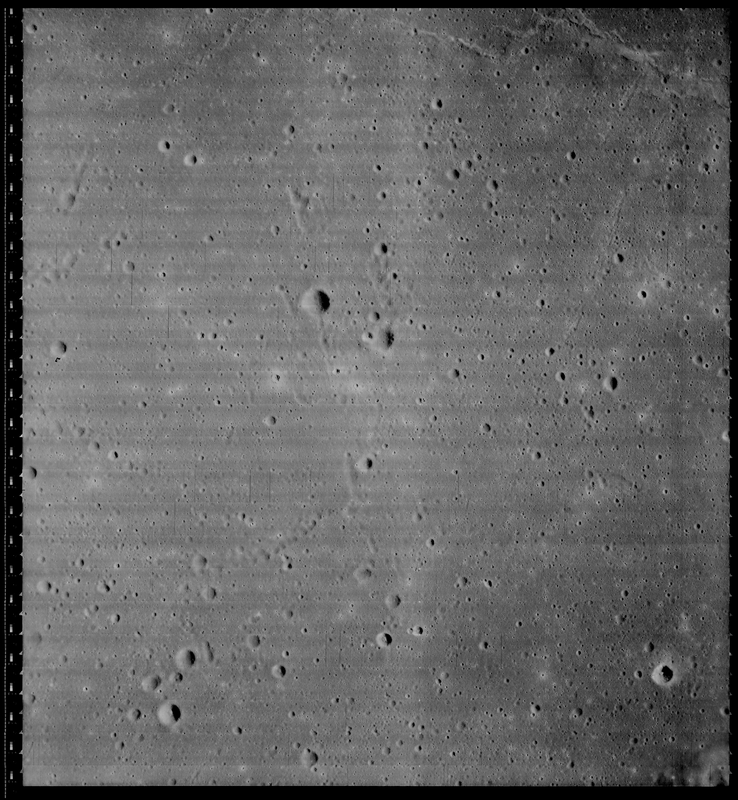 Sunlight reflects off the optics and sometimes off the structure of the lens, and often appears as a gradient of brightness across the image. 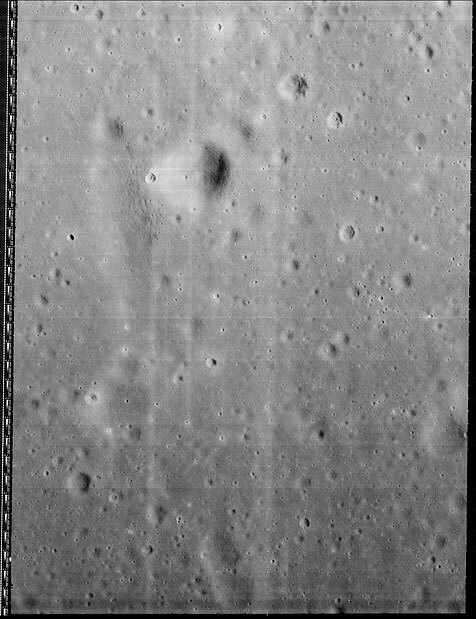 Attaching a baffle to your camera, like we did with the LROC Wide and Narrow Angle Cameras, can minimize this effect. More subtle effects are often present but usually you simply just don’t notice artifacts because of strong color contrasts in the scene. 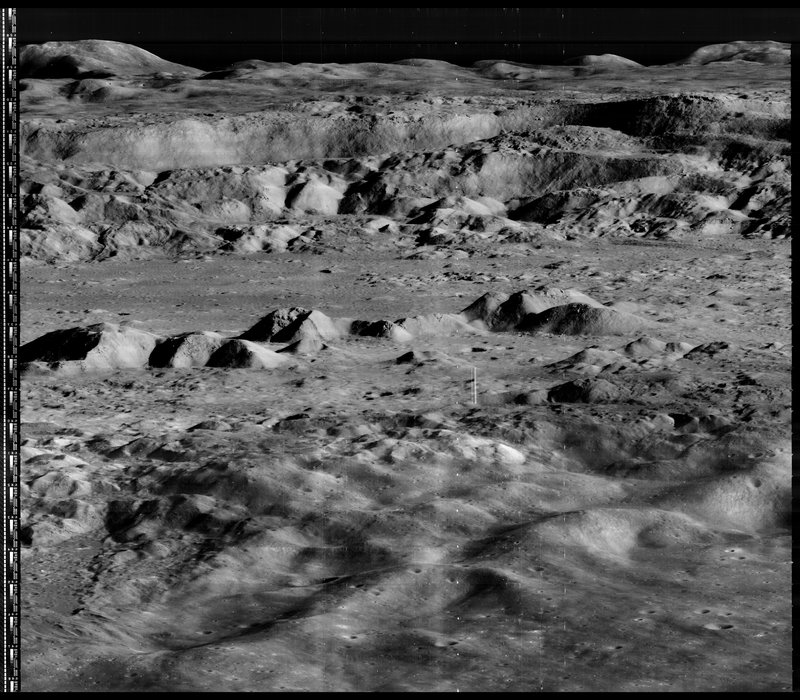 Since the Moon has only very small color contrasts, the LROC team must characterize even subtle scattered light effects within the 7-color Wide Angle Camera (WAC) images. Changes in composition (rock types) result in subtle differences of color, typically about 10% or less. For scientists to make accurate interpretations of WAC color maps, the amount of scattered light must be quantified (and preferably corrected). 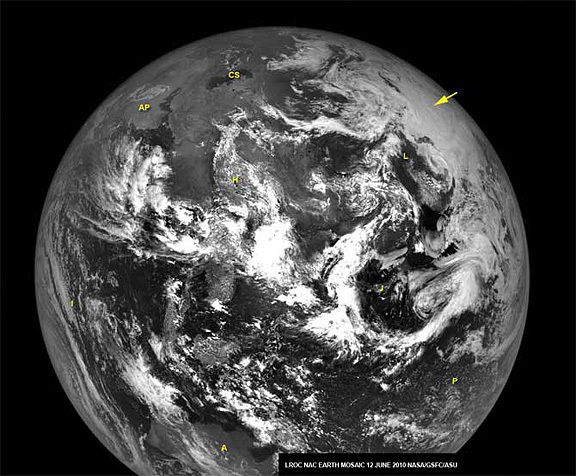 One way of measuring scattered light is imaging a bright object against a dark background. From the Moon, the Earth serves that function well. 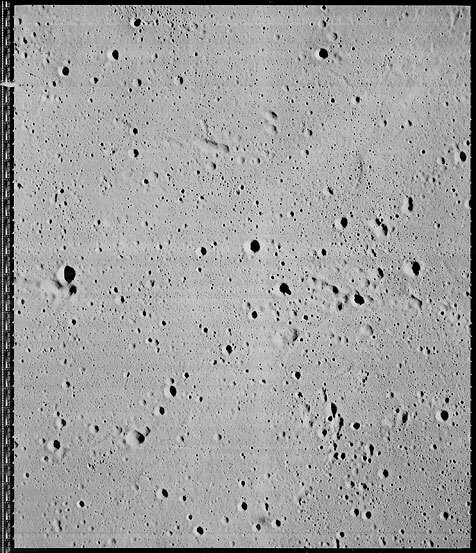 While a series of WAC calibration images of the Earth were being acquired, the Narrow Angle Camera (NAC) was shuttered to capture this spectacular Earth view. 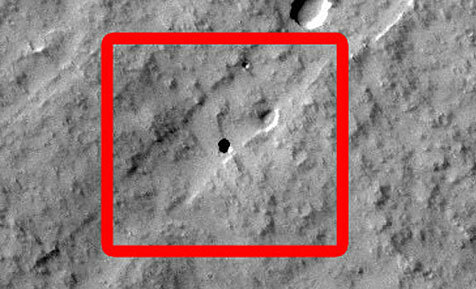 The bottom of the Earth was clipped because the prediction of the exact time when the cameras’ fields of view would cross the Earth was off by a few seconds. 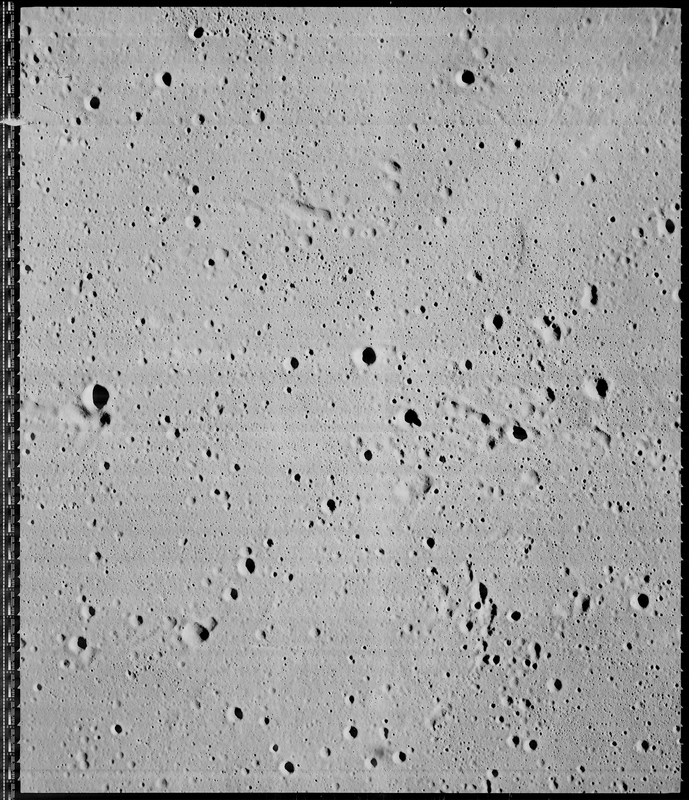 Since the NAC acquires only one line of a picture at a time, the spacecraft had to be nodded across the Earth to build up the scene. The NAC Earth view is actually a mosaic of NAC-Left and NAC-Right images put together after calibration. 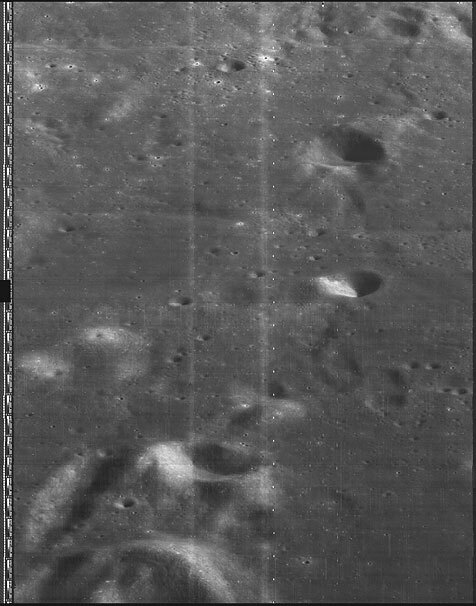 The distance between the Moon and the Earth was 372,335 km when the picture was taken, with a pixel scale of about 3.7 km, and the center of this view of Earth is 25°N latitude, 114°E longitude (a few hundred kilometers north of Hong Kong). It was a beautiful clear summer day over the North Pole. You can see ice covering most of the Arctic Ocean with a few leads of open water (dark) starting to open up. If you look very close you can follow the Lena River upstream from the Arctic Ocean all the way to Lake Baikal. Much of the Middle East was clear and you can trace spectacular swirl patterns of folded rock layers through Iran, Afghanistan, and Pakistan. These mountains formed as the Eurasian and Arabian tectonic plates collided. 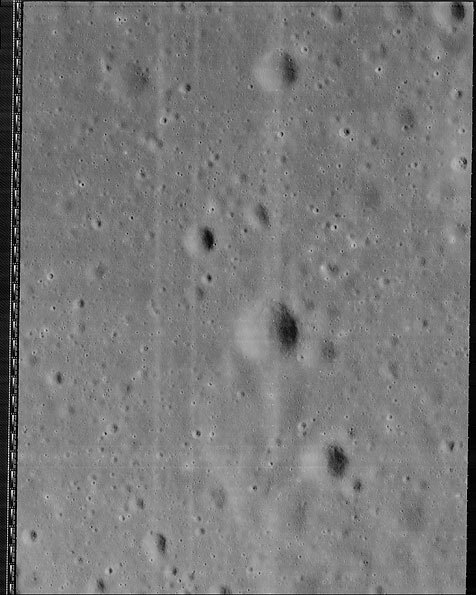 Browse the full-sized image at the LRO Camera website maintained by Arizona State University. 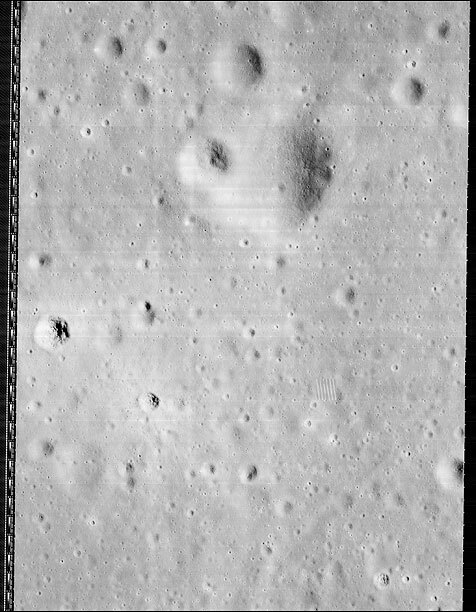 This high resolution image, subframe 2162_H3, was taken by Lunar Orbiter 2 on 24 November 1966 at 00:05:42 GMT. The crater Copernicus is shown at an oblique angle. 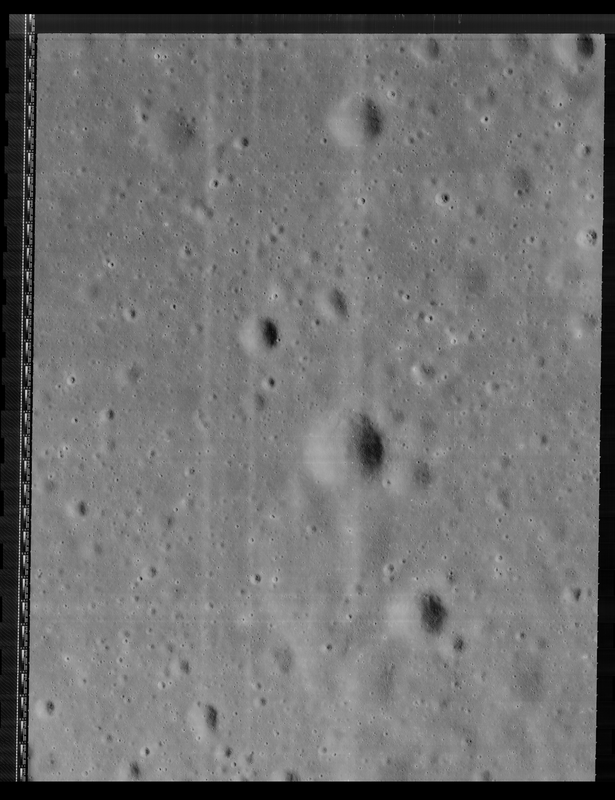 This video is from an enhanced version of the original image produced by the Lunar Orbiter Image Recovery Project (LOIRP). 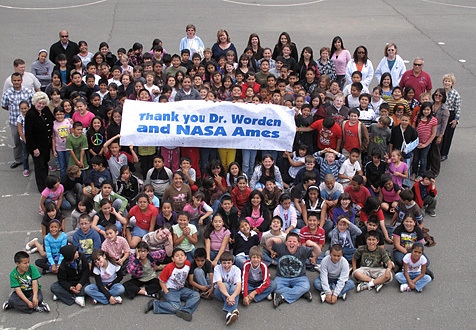 Using better-tuned equipment and experience gained along the way, we decided to make a second pass at this wonderous photo. The result was worth the effort.